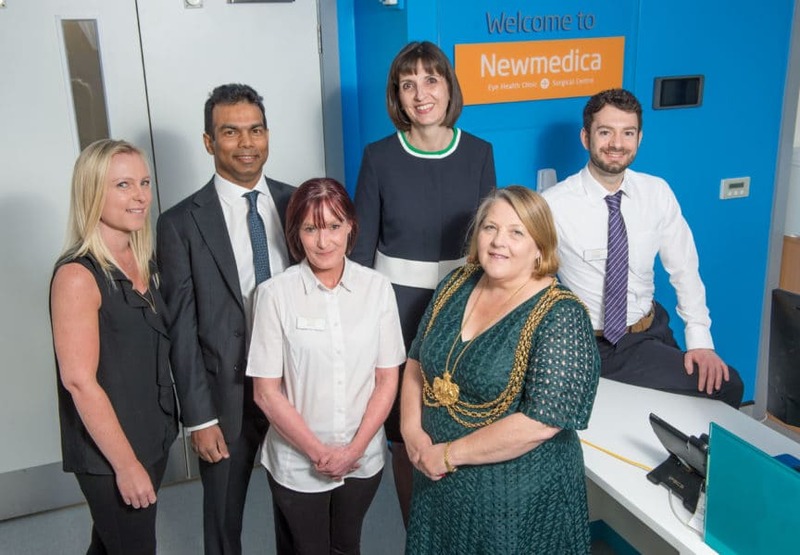 The Lord Mayor of Leeds, Councillor Jane Dowson, has declared open the latest Newmedica clinic at St Martins House Medical Centre in Leeds. The clinic offers NHS and private ophthalmology, including cataracts surgery and glaucoma treatment, in a non-hospital environment with swift appointment availability. In line with the post-cataract framework for community optometrists recently agreed by Newmedica and LOCSU, the clinic will accept ophthalmology referrals from all local optometrists, as well as from GPs, and patients will return to their local optometrist for aftercare. In the past year Newmedica, a provider of NHS-funded ophthalmology services in England, has established three new eye health clinics and surgical centres in North East Lincolnshire, Gloucestershire and Bristol. The clinics have been set up as ophthalmology joint venture partnerships, led by one or more consultant ophthalmologists as clinical directors and by an operational director. Darshak Shah, Newmedica managing director, said: ‘We are very pleased with the progress that the three pilot clinics have made so far in providing hospital-grade eyecare to patients in the community. 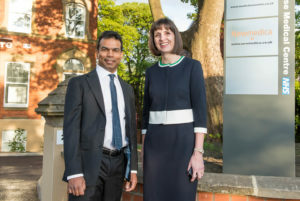 Newmedica Leeds is led by two joint venture partners: clinical director Aldrin Khan (pictured left) and operational director Jennifer Lindsay (right). Mr Khan has worked as an ophthalmologist in the North East and Yorkshire for nearly 10 years. He was appointed a consultant in York in 2009, with a specific interest in glaucoma and also worked at Bradford Royal Infirmary providing cataract, corneal and glaucoma care as well as supervising and teaching junior doctors. Jennifer Lindsay is a science graduate with more than 25 years leadership experience in healthcare including secondary care roles in NHS and private hospitals, as well as supporting patients in the community via telehealth and remote monitoring services.